Blog Home » Day 5 – Skincare giveaway with Beauty Expert! Day 5 – Skincare giveaway with Beauty Expert! Win a luxurious skincare bundle from Beauty Expert for glowing and healthy skin this Christmas. Today’s prize includes a Plasma 27 face mask, StriVectin high performance booster oil, First Aid Beauty milk oil conditioning cleanser and Gatineau renew 7 laser. To be in with a chance of winning this fantastic prize, all you have to do is shop. Earn cashback on your purchases and get entered into our prize draw, it’s that easy! Stocking some big name brands including Bio-Oil, Babyliss, Centrum, Elizabeth Arden, Garnier, L’occitane, Molten Brown, Paula’s Choice, St Tropez, Wella and many more, Beauty Expert is the place to shop this Christmas for all things beauty. From skincare and fragrance to hair, make-up and nails, shop at Beauty Expert for the perfect gift this Christmas! Here are our five top picks! For a healthy glow this Christmas, this nourishing radiant moment gift set is perfect! Put this on your Christmas wish list for radiant and healthy looking skin during the festive season. With a cleanser, mask, day cream and night cream, this gift set is a brilliant gift idea for those that love luxurious skincare. This set is worth £66 but at Beauty Expert you can snap it up for just £39.90 plus get free delivery as well as up to 7% cashback. If she longs for lengthy and beautiful locks, she will love this gift set from Grow Gorgeous. 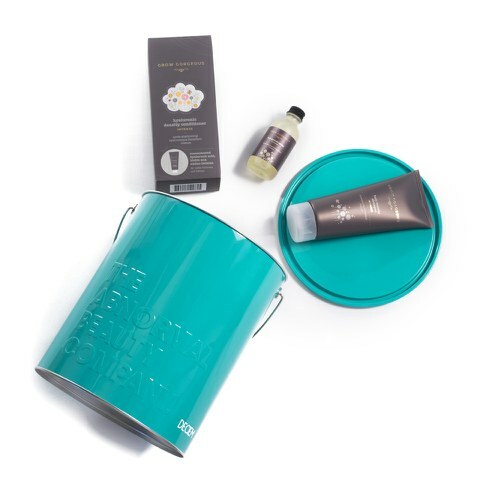 Complete with hair growth serum, shampoo and conditioner and packaged in a cute paint pot style tin, this trio of products will help her to achieve thick healthy looking hair. Buy now for £55 and you will get up to 7% cashback! For a sun-kissed tan during the dark winter months, Paula’s Choice self-tanning foam delivers just that. Promising a streak-free and flawless finish, pop this bottle of tan into her stocking this Christmas. Paula’s Choice sell a range of skincare for both men and women all of which are clinically proven, non-irritating plus 100% fragrance and colourant free. Shop this range now plus get up to 7% cashback! Not only will you find a large array of glorious skincare gift ideas, Beauty Expert also sell soothing and sensual candles and aromatherapy gifts. With a burning time of up to 10 hours, these soothing travel candles from Cowshed are formulated with both chamomile essential oil and jasmine essential oil to help you relax and unwind. If you’re shopping for someone that needs to relax, these candles are a thoughtful and useful present. Buy now for just £22 plus earn up to 7% cashback! Check six people off your Christmas list in one go with this festive cracker nail varnish collection. These six crackers all house a full sized nail varnish so will make a perfect stocking filler for beauty loving ladies, especially if you are struggling for ideas. Buy this set of all six for £38 plus get up to 7% cashback!